I was in Hungary last week, so I thought that I should read Memoir of Hungary by Sándor Márai. Márai was a tragic figure. He was a novelist who wrote in his native Hungarian (though he was fluent in German), which severely limited his audience until after his death, translators from Hungarian being few. His work was “rediscovered” after his death by suicide in 1989, when he was 89 years old, whereupon he became a worldwide success. He had lived his last forty years in exile, mainly in California, where demand for writers in Hungarian must have been very limited. The history of Hungary in the 20th century was one of almost unmitigated disaster, but even during its golden, or gilded, age (the last third of the 19th century), Hungarians had the highest suicide rate in the world. There is a story in the opening pages of his memoirs that seems to me of wide application in the modern world. He recounts how, in Budapest on his name day on 18 March 1944, he invited guests to a traditional celebration. Budapest had been an island of relative peace among European capitals, despite the fact that Hungary—with rather little choice in the matter—had been Germany’s ally. Márai’s name-day celebration was to be the last bourgeois dinner party he ever attended in Budapest, and though food was limited, the table settings were elegant, the wine flowed, the evening became convivial and the conversation lively. He was never to see any of the guests again. You cannot understand. At long last, the age belongs to us, to us the men without talent! There is nothing wrong with mediocrity and lack of talent, of course. Even the most multitalented of persons is mediocre at something, probably at the majority of things a human being can do. If everyone were talented, no one would be talented, for talent by definition needs to be an ability that stands out from the rest. Besides, we need untalented people, and many of them, to perform those tasks that require qualities other than talent to perform them. This is obvious, of course, once you think about it (it doesn’t take much reflection to realize it), but you don’t usually think about it. In fact, I had never thought about it until I spoke to a personnel manager at a car factory. This was a little before such factories were as robotized as they are now. The kind of person we seek, said the personnel manager, is the one who is perfectly content with his living wage and to do the same thing over and over again. If an applicant showed the faintest sign of ambition, he was immediately rejected. We are inclined to look down on or even despise people without ambition, but unless we want a world in which everyone is frustrated and resentful, we need them, these unambitious types without special talent. We do not want frustrated geniuses shining our shoes or stacking shelves in supermarkets. There is nothing wrong, then, with mediocrity and lack of talent. It is an essential ingredient of the human mix. Where it becomes dangerous is where it is combined with ambition, as it seems to be nowadays. The world pullulates as never before—or so it seems to me—with the mediocre who are avid for power. Why should this be? Why has power become so attractive to people who might once have been quite satisfied without it? This is the kind of question to which there can be no final or indubitable answer, though this does not mean that it is not a real question. All answers must be somewhat speculative and intuitive, but not disconnected from all evidence and plausibility. My own answer is that, to an increasing degree, we—by which I mean many of us—worship power as the transcendental purpose and meaning of our lives. You can see this in the simulated outrage when we read that some human group or other is underrepresented in positions of power, as if this were a terrible fate and one that must be redressed immediately, usually by some manifestly absurd and unjust regulation. And the more we concentrate our minds on the demographic distribution of power, the more important does power as the most desirable thing in human existence become to us. A life without power is a life that has been wasted, that has missed its mark. Ultimately, this worship of power derives from a lack of any other transcendent purpose, such as that supplied by religion, for example, or (for persons of talent) the perfection of an art or métier. But since, again by definition, most people are not talented, the latter option is unavailable to them. Power is what remains as a purpose for them. We do indeed live in a golden age of mediocrity, as is evident from the people we choose as celebrities. Power struggles there have always been, and will always be. 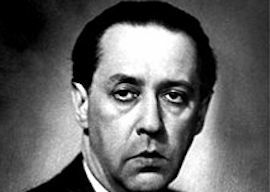 But remember the words of Márai’s Nazi supporter: At last the age belongs to us, the untalented!